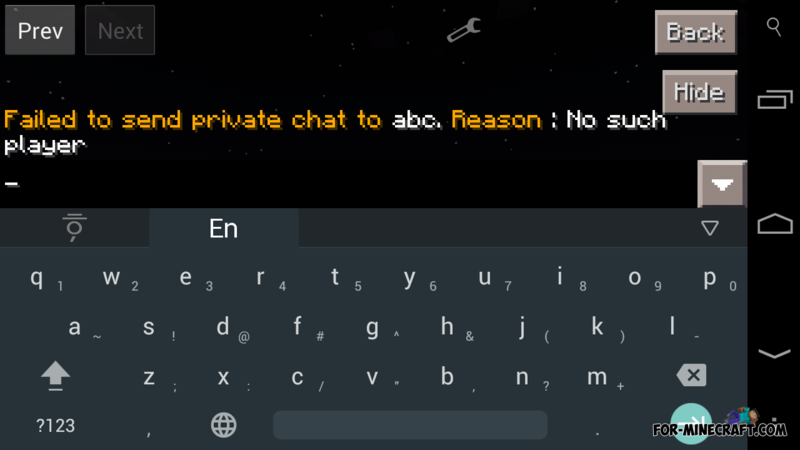 This addon is allows you to send messages to certain players with a simple command. If you write the wrong player's nickname, the add-on displays an error message. Tell me mod for Minecraft Pocket Edition 0.10.5This is a simple but very cool mod that adds the ability to communicate only with the players that you want. NameYourMobs mod for Minecraft PE 0.10.5Mod allows you to attach any nicknames mobs! You can give your dog a nickname, etc.